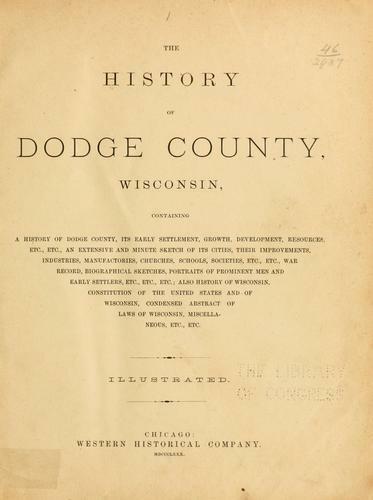 1 edition of The history of Dodge county, Wisconsin found in the catalog. Add another edition? containing ... its early settlement, growth ... an extensive and minute sketch of its cities ... war record, biographical sketches. 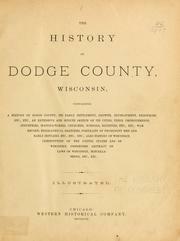 Published 1880 by Western historical company in Chicago . February 9, 2010 Edited by ImportBot Found a matching record from Library of Congress . June 6, 2009 Edited by ImportBot Found a matching record from Internet Archive .